Last night, I attended my very first Hari Gawai celebration. It was held in school. For those of you who do not know, 'Gawai Dayak' or 'Hari Gawai' means 'Dayak festival'. 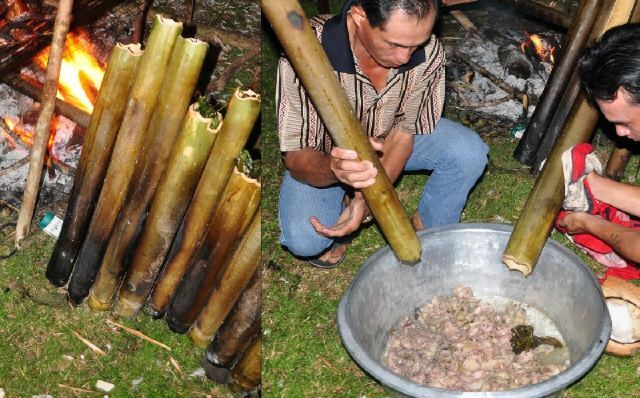 'Dayak' is the collective name for all the ethnic groups of Sarawak. Actual Hari Gawai celebrations begin from 31 May onwards. My school student demographic is 99.9% Iban. 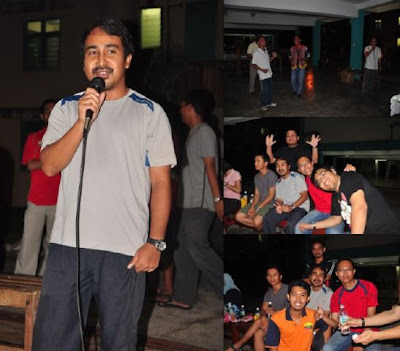 All the staff are Iban & a majority of the teachers are Iban too. So it was natural for a dinner to be held to celebrate this wondrous occasion. The turnout for the Dayak festival dinner was very encouraging. 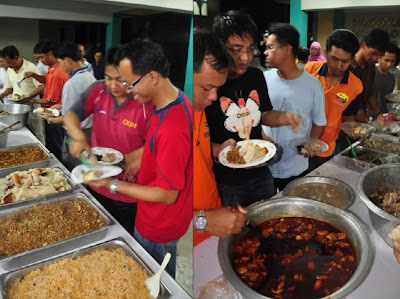 People of different backgrounds attended & enjoyed the tasty food. There was kari ayam, nasi pulut, rendang ayam & etc. chicken + herbs cooked in bamboo. When Iban men get together, it is customary for them to drink. There are 2 Iban brews. & Tuak (made from rice). They drank Ijuk that night. Ijuk has a close resemblance to the sweet type of Japanese sake. I sang a song in the Iban language & I had no idea what I was saying. But I must have done something good coz ppl laughed & clapped at my awkward attempts at dangdut. It was a wonderful event with great food. I received invitations to longhouses for Hari Gawai but I had to politely decline because I'll be having a blast in KL by then! But it'll definitely be something to look forward to maybe next year!